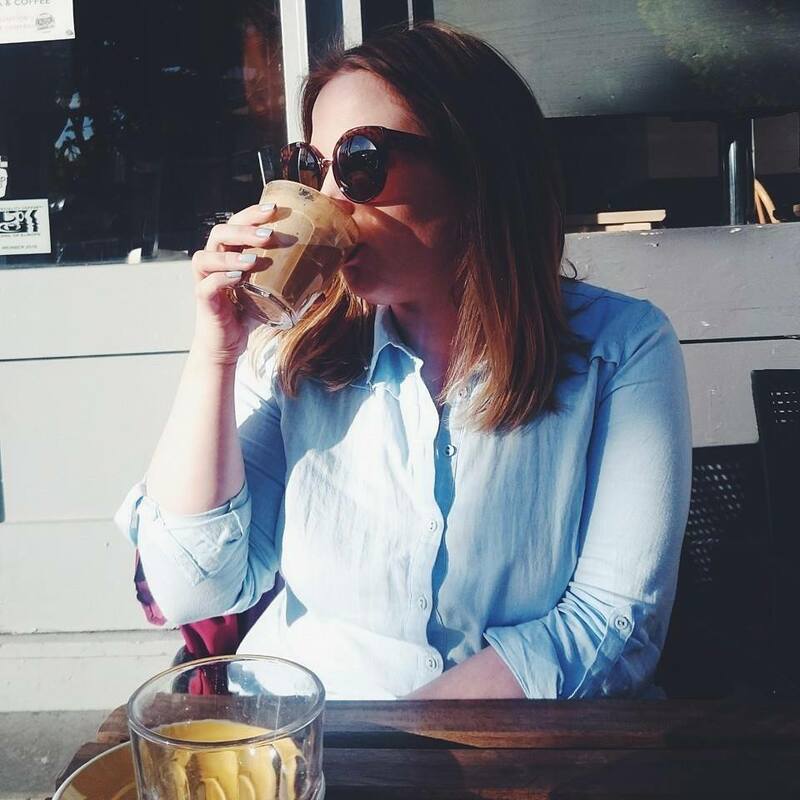 Grab your hats ladies because wedding season is upon us and as we have a certain Royal Wedding taking place this weekend, it seems the perfect time to celebrate. In true Birchbox style, they have released a limited edition box available to purchase from today. 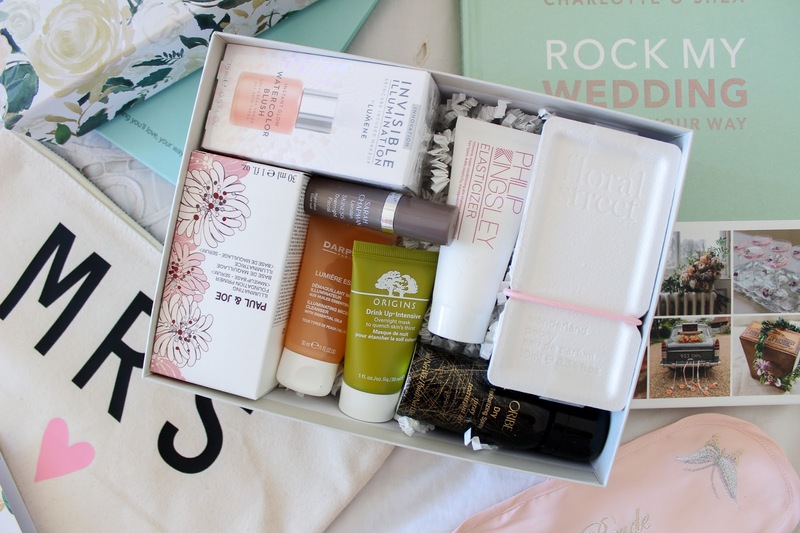 The specially curated wedding box, To Have & To Hold Birchbox will retail at £32.00 and features some much loved brands such as Paul & Joe, Sarah Chapman and Origins so whether you are the bride, the bridesmaid or guest, it is the perfect way to get wedding ready. 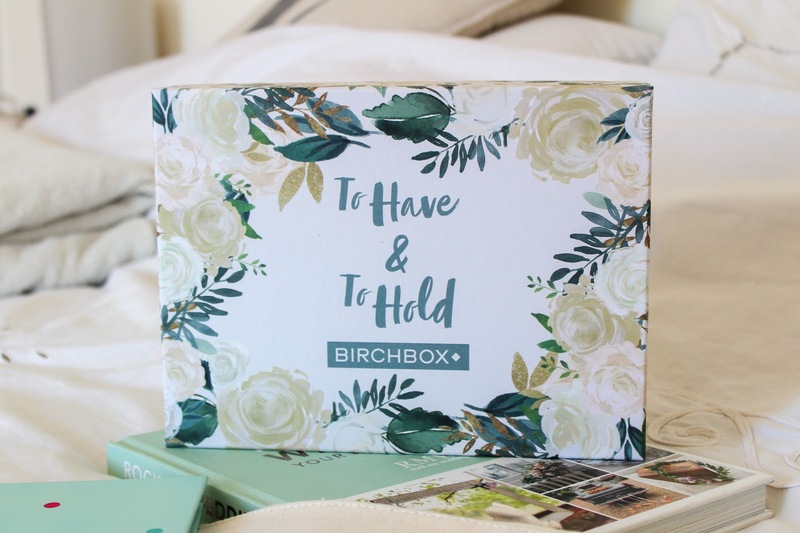 To Have & To Hold comes in the old style Birchbox design, the lid lifts off to reveal the contents which is carefully packed inside along with your menu card to tell you more about what is inside. The box is beautifully adorned with white roses and green leaves fit for any bridal bouquet, I'm half tempted to add it to my wedding mood board for our own wedding. The special edition box features products to give you that beautiful natural glow and flowing locks thanks to the carefully selected beauty faves inside. Birchbox have also created an easy shop section on their website so you can shop all the products from the box in one place. For haircare, you have the Philip Kingsley Elasticizer which is one of my favourite hair products. I have tubes of the stuff floating around in all sizes so I'm never without, be it at home or away. There is also a can of Oribe Dry Texturizing Spray which never fails to give my hair a lift. It also smells incredible and you can't beat incredible smelling hair. Your skincare treats in the box are something real special. 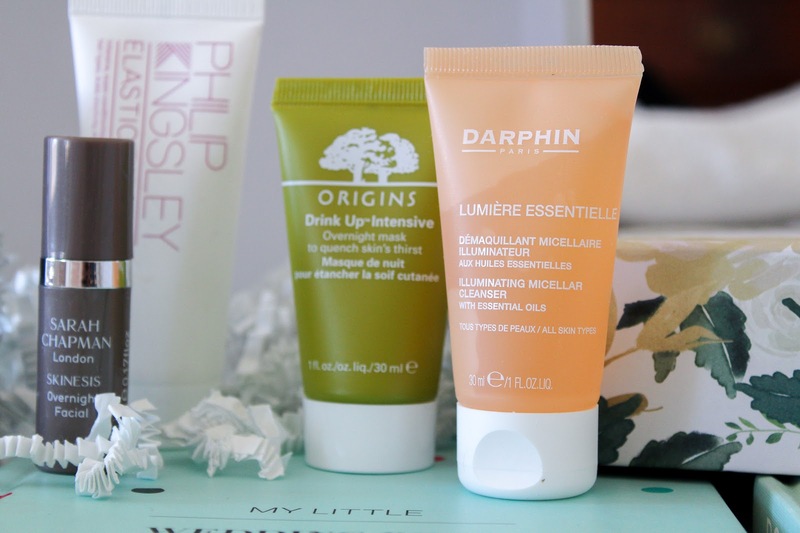 Darphin Lumiere Essentielle Illuminating Micellar Cleanser brings your face to life and leaves the skin feeling so clean, I need to get my hands on the full size tube immediately. You can also find Cult face mask, Origins Drink Up Intensive Overnight mask inside which promises to quench the skin's thirst and it does that and more. This is the first time I am trying it and my skin has lapped it up. 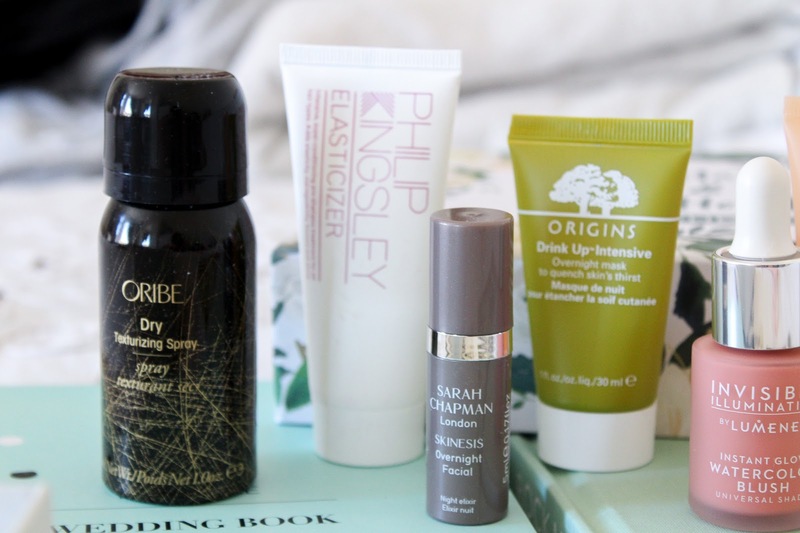 Lastly for skin is the Sarah Chapman Skinesis Overnight Facial, a handy little tube of overnight goodness. The oil helps increase the life span of skill cells while the vitamin A refreshes and nourishes your complexion. The effects are almost immediate and for something so pricey, I'd hope so too. The final few products are my favourite pieces. 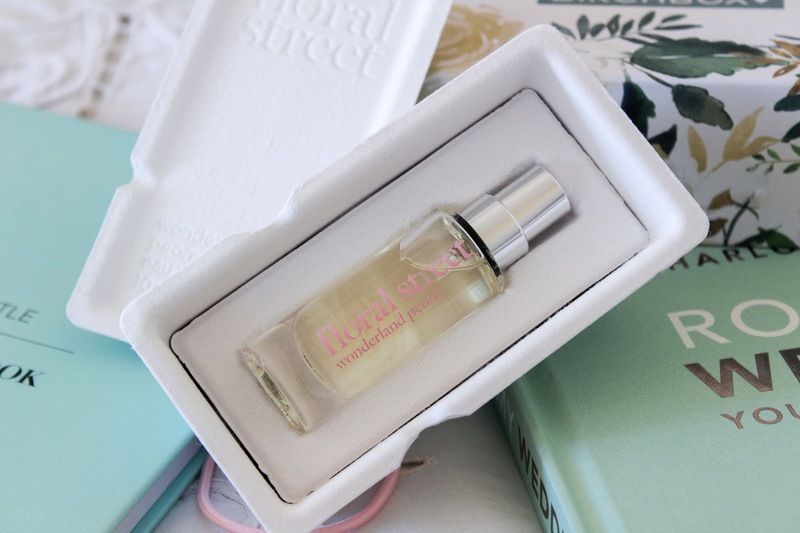 Floral Street are a totally new brand for me and it wasn't until I searched the product on the Birchbox website, that I recognised the bottle as the pretty perfume brand that has been floating around Instagram. The fragrance, Peony Wonderland is beautiful, so beautiful I can't quite describe it. It's light, sophisticated and I can't stop using it, I've only had it a few days. My eyes are on that full size bottle because it needs to be my Spring/Summer scent this year. The first makeup product inside To Have & To Hold is my favourite illuminating primer by Paul & Joe. The primer comes in a full size bottle with a handy pump dispenser, I use it by pumping some product onto my hand and then I apply with a brush before my foundation. It gives a natural glowy look to my base and I rarely begin my makeup without it, especially now I'm pretty sleep deprived. 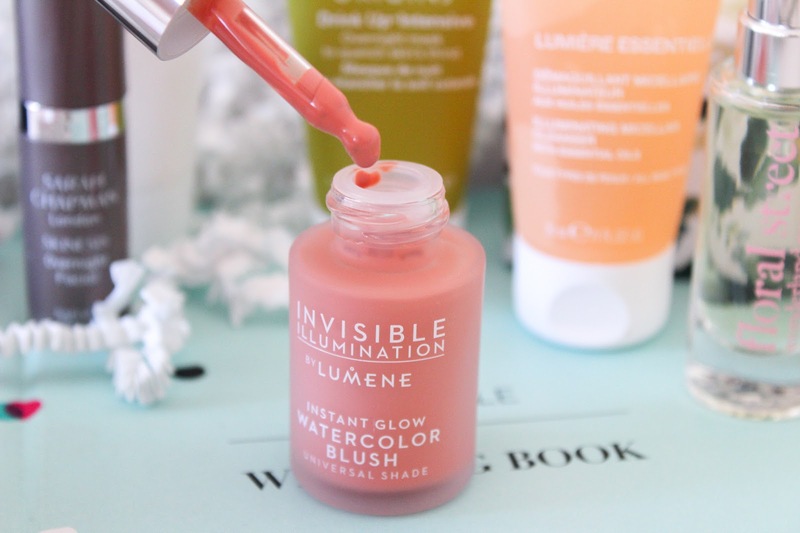 The last item is Lumene Invisible Illumination Watercolour Blush, a lightweight liquid blush that gives a natural pop of colour to skin. The buildable texture makes it very easy to use and the pigments blend beautifully into skin, I usually steer away from liquid blush but this was a doddle to use and I really like the results. There's so much product too! 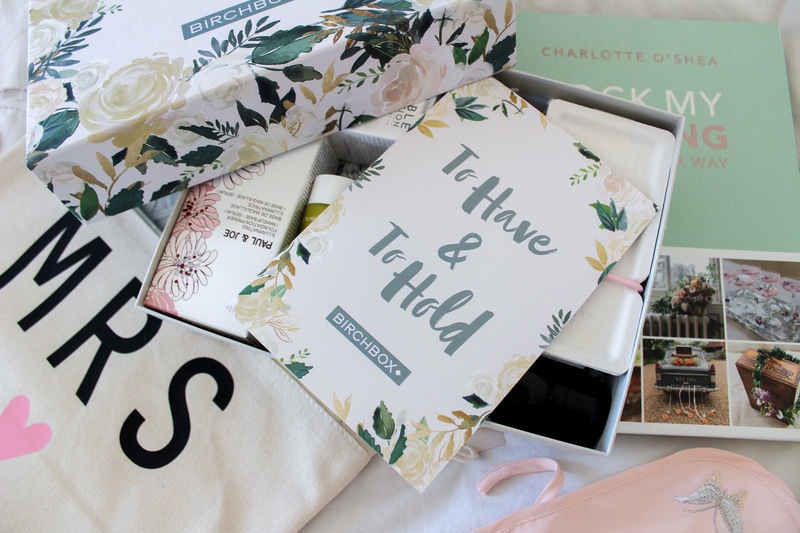 The To Have & To Hold Birchbox is available from today, retailing at £32.00. Head to www.birchbox.co.uk to order yours today. It would be the perfect treat for a bride to be or you could just treat yourself... Everyone deserves a treat or two. Oh this is such a good box! I love that Origins Mask, and Elasticizer too! Oh I love the contents of this box! I would actually use everything inside. love the design on the box! 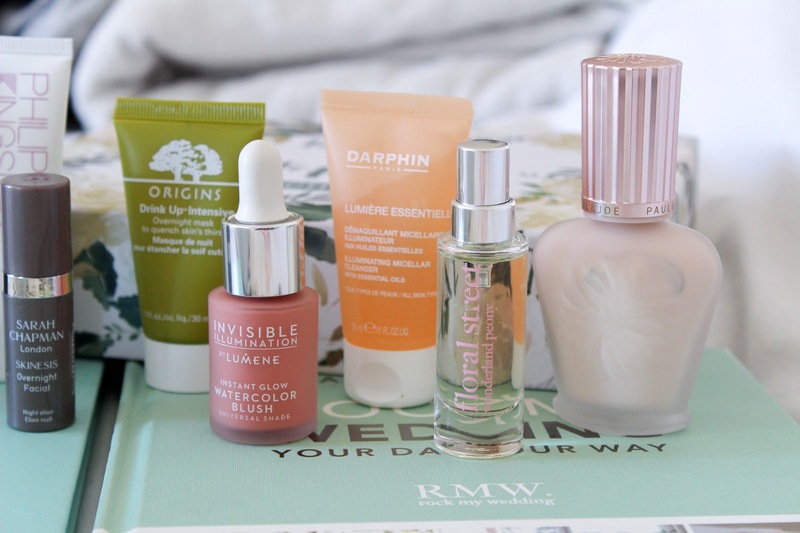 i keep giving up on birchbox but always end up signing up again! This edition is so cute! I always find subscription boxes can be hit and miss but this looks fab! This edition is adorable and the products omg they look amazing! I love the oribe spray!